The starting point of product creations is varied and vast. This month we trace some of those origins, the DNA of design. From Milan to Istanbul to generations before us. In these reports learn about brand new market directions including motifs, pattern, color (with Pantone references! ), shape, and more. Textiles, furniture, lighting, tabletop, decorative accessories and the gamut of home fashion items are found within. Get inspired with the May edition! We attend over 100 design events a year on your behalf to bring you trend insights and design movements to help you maintain cutting-edge knowledge of the lifestyle and design markets. Currently we keep readers in 9,362 cities within 163 countries/territories in the know! Are you reading Trendease.com? Worldwide — In this gallery read about Jennifer’s thoughts on the new issue and see a collection of 50+ product photos from around the world. Stretching across international design events, this selection of images demonstrates hot directions in motifs. Cultural influences are strong with designs made up of suzanis, medallions, and Middle Eastern graphics. Other effects include what can be described as starbursts, pinwheels, snowflakes, or artwork reminiscent of the childhood toy Etch-a-Sketch. Milan/Bangkok — The last 20 years boast a solid track record that has allowed Thailand to establish itself as a producer of high-end items. The Slow Hand Design exhibition has the intent to reveal the value of Thai product exports that still preserve their ancestral DNA inherited through many generations. One of the many points which is impressive of Thai design is that it considers the economy and ecology of the surrounding environment. Multiple European Cities — The body has been an influential form for centuries. An exploration of happenings during Milan Design Week unveiled that some of the latest furniture, textiles, lighting, ceramics and glassware are finding solace in the external beauty of chiseled chests and rounded breasts, or go beyond the naked eye to the organs beneath the flesh. WARNING: This feature is not for the faint of heart! Worldwide — Over fifty styles of seating and lounge designs have the feeling of relaxed fit in this gallery. What is relaxed fit? It is a term in fashion coined for jeans. Levi describes its jean cut, “One of our most comfortable fits, the classic Relaxed Fit 550™ Jean offers an easy universal fit through the seat and thigh, tapering below the knee.” And why not have seating offer such comfort? It does! So many collections are showing off their relaxed fits at trade shows around the globe; see them here! Multiple European Cities — If it were somebody’s first time attending Milan Design Week s/he might have been slightly confused by all of the motor vehicles and electronics on display at the Fuori Salone. Perhaps then, it is not surprising to see that so many new design products, like an office desk, sofa, or bench look as though they take inspiration from the lines of cars. See some from Milan in this gallery. Multiple European Cities — The digital world is surrounding us. Gaming is a humongous industry and almost every semi-civilized person is walking around with at least one electronic device on his/her person. 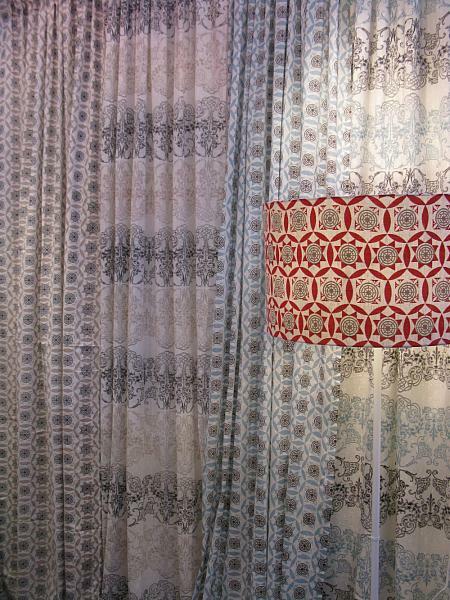 Pixelesque motifs and patterns have been very popular over the last seasons. And during our run through of the oodles of Milan Design Week activities we saw some more pixel-like creations. Multiple Turkish Cities — Amsterdam-based design agency Lobster Concepts works with Uludag Exporters Association to interpret the international market directions and demonstrates how Turkish home textiles can meet the demands of such trends. Within this gallery see four inspirational groups with Pantone color stories for the 2011/12 seasons and ample textiles from Turkey that fit the bill. Milan — This week’s gallery of images is a collection of fascinating fashions the Trendease Team encountered while weaving through the streets and happenings of Milan during design week. Subscribers will find inspirational materials, mannequins, lingerie, jewelry, and furniture within this newsletter. Worldwide — This week’s gallery is all about the curvature. It is that sleek line found in trendy indoor and outdoor seating for the upcoming seasons. Italy, Turkey, Japan, the Netherlands, the UK, and even China are some of the countries taking part in the movement. Subscribers can visualize the smooth silhouettes with the photo selection within. Multiple European Cities — This week’s gallery gives subscribers visual clues on how, after years of the Asian Sensation design movement, we begin to see Asian styles turning it up a notch with a higher air of sophistication. Wallpapers, room dividers, textiles, upholstery, and even sleek Italian kitchens are getting into their cultured oriental beauty regime.